3. 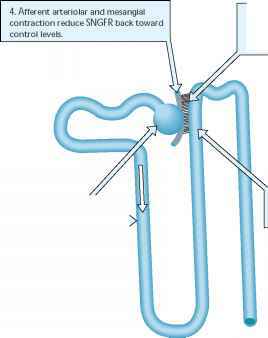 Renin is released from specialized cells of JGA and the intrarenal renin angiotensin system generates release of angiotensin II locally. 2. The composition of filtrate passing the macula densa is altered and stimulates the JGA.